This is a 2009 Delta Evolution button-filler limited edition #329/809 in Black with Sterling Silver rings and sterling silver trim. 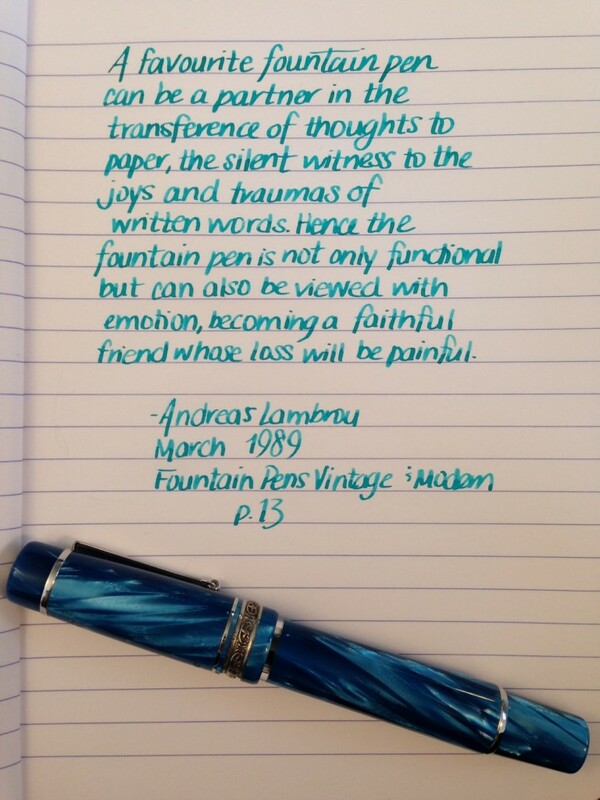 18K medium nib. New-old-stock. Mint in box with papers, ink, and outer box. Item #41 in Catalog #85. I’m not sure if I just tell myself this because it’s how I justify the amount of pens I have, but there is a lot of truth to this. Leave it to Andreas Ambrou to say something so spectacular about such great instruments! 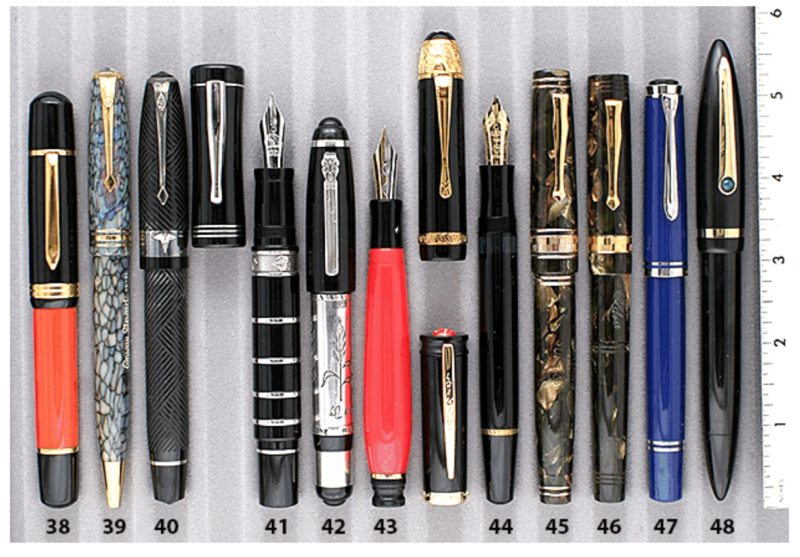 How do you feel about your pens? Are they just instruments? Are they companions? Both?